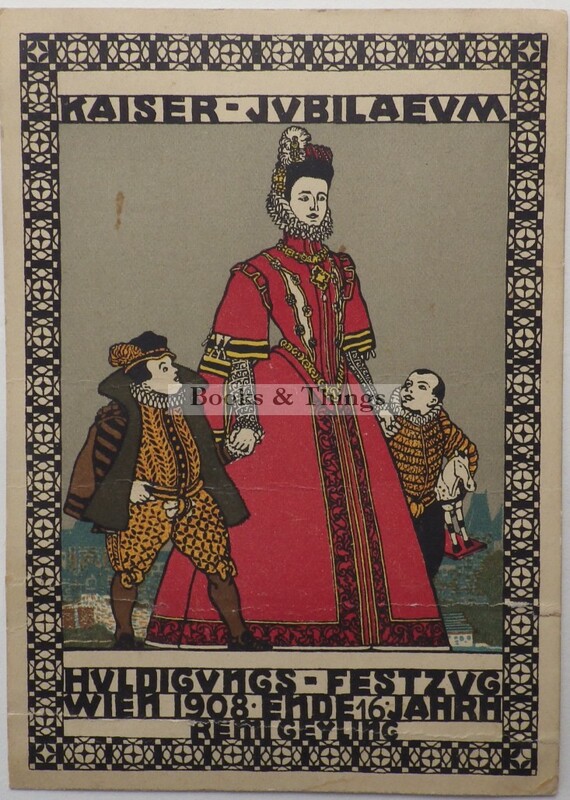 Remi Geyling: Original Vienna Werkstatte postcard no.166 for the Jubilee of Emperor Franz Joseph, Vienna 1908. 125 x 90mm. Unused. Light creases, two 5mm tears on the edges of one crease. Small stain below the word Kaiser. 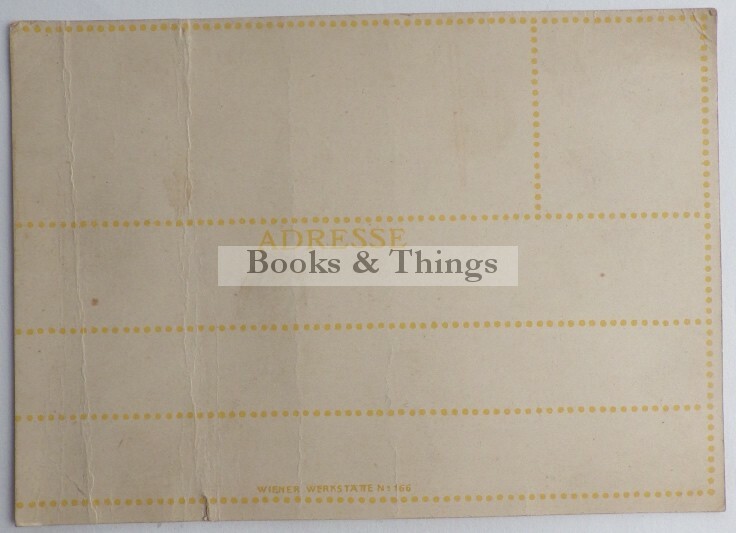 Some finger marks on verso. Category: Postcards. Tags: Remi Geyling postcard, Vienna Werkstatte postcard.